Streamline sales, lower operational costs, and make installation more efficient. We built the most configurable and powerful solar sales and installation system with you in mind. See why thousands of teams use Shape Software to drive more revenue and efficiency! 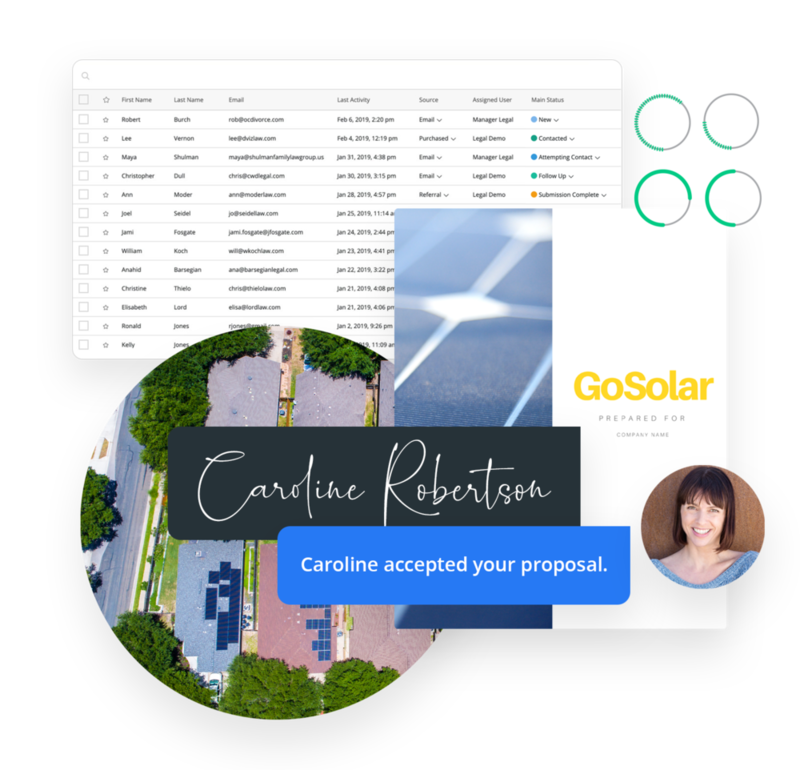 Solar businesses need tools that simplify the sales process while maintaining an efficient workflow. Shape makes it easy to go from cold lead to installation to monitoring on one end-to-end platform. Manage your entire intake process in one place! Automatically follow up with new leads, create custom triggers, and send online proposals that include Shape's built-in eSignature. Whether you’re managing inbound or paid leads, Shape has tons of tools to help you close the deal. Build and send automated drip campaigns, newsletters, SMS, and tons more. Don’t let an influx of new leads drag your team down. With lead assignments, shark tank, and other lead distribution tools, Shape’s automated tools keep your business moving forward. Schedule your site surveys or client meetings in just a click of a button. Never miss another important deadline again! 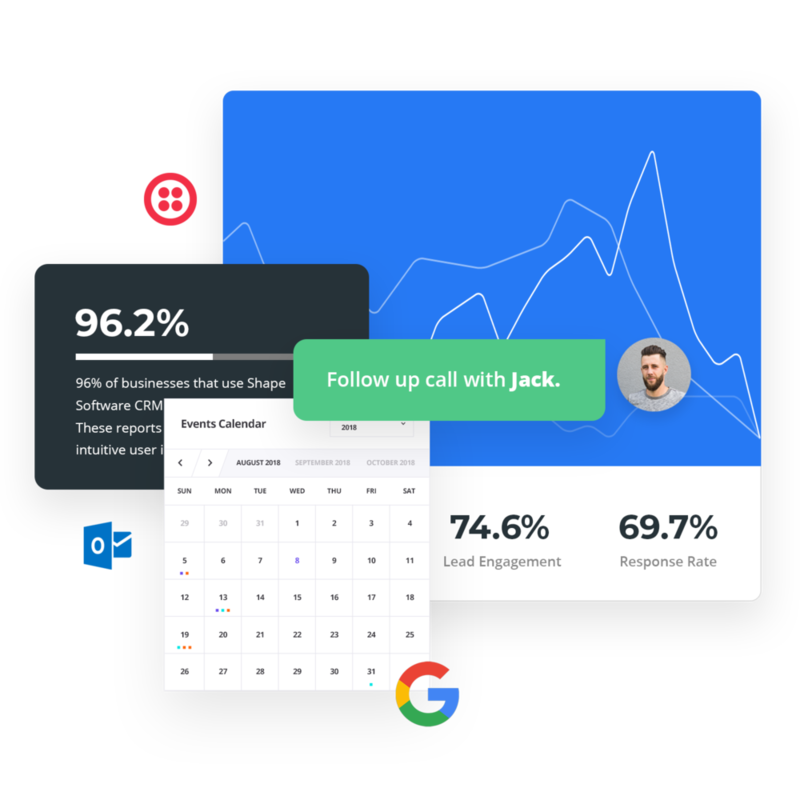 Shape’s powerful solar CRM takes the guesswork out of managing your entire process. Build powerful workflows, keep tabs on construction, and do necessary project prep all in one place. View properties in real time with Shape’s Google Maps integration. Search for a location, zoom in, and see the roof from an aerial view to ensure optimal placement - all from the comfort of your office. Make sure every property has been properly inspected to prevent any pitfalls. Our responsive mobile application means even out in the field you’ll have client data and can report back to the system at any time. Doing construction in-house? Track the progress of the job site from design to installation. Referring the project out? Track your referrals and commissions. Shape does it all! Use Shape’s checklist feature to build to-do lists, from the sales process to PTO, to ensure streamlined compliance and a great client experience. Shape’s best-in-class integrated VOIP dialer and sales scripting tools give your team everything communication tool it needs to get the job done. Our powerful online payment processing lets you easily collect on your fees automatically. Gather billing info, schedule payments, and accept payments via credit card or ACH. Shape integrates with all the tools your team needs, like Energy Periscope, Aurora Solar, Google Maps, Twilio, SignByX, Stripe, NMI, Authorize.net, SendGrid, MailGun, and more!